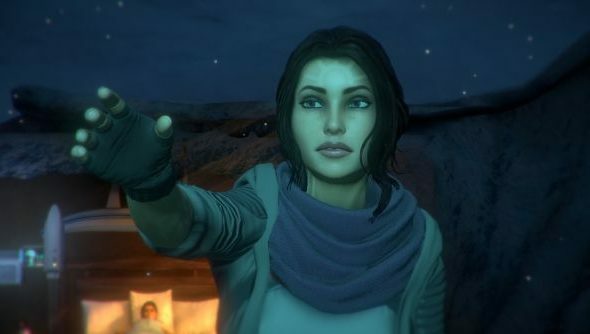 After going through the sort of engine update that would and has killed lesser games and studios, Red Thread Games are finally ready to release the fourth part of Dreamfall Chapters come December 3rd. It’s the penultimate episode in the long-awaited sequel to The Longest Journey and has everything from weird turkey-camels to sassy avians standing on your head. In case it isn’t already obvious, this is one I wasn’t planning on picking up until it had all five episodes released that I could blitz through at my leisure. Therefore, I have no idea how spoilery the trailer below is for previous episodes, but there does seem to at least have been a significant setting change since the earlier screenshots. For all I know, the aforementioned turkey-camels are like mentioning certain familial relations in the Star Wars franchise. Never having got into the series in younger years or paid much attention to this iteration, this is my first real encounter with the character design and I love it. It’s riding the weird line very well, being utterly otherworldly while maintaining a sense of ‘realism’ that stops it making the jump to wacky. There’s no news on when the series will be finished with Book 5, or indeed even a title for it yet. Hopefully the wait won’t be quite so long this time and it will be using most of the same technology by the time we get our hands on it.